An interesting trend that’s been on the rise for some time is freestanding bathtubs. They are amazing in appearance and were considered to be a symbol of extravagance and comfort during the 1800s. With the passage of time, it slowly faded into obscurity. But a few years back, a rise of this aesthetic tool was again seen and ever since then; it is surging both in appreciation and acceptance. A Freestanding bath delivers sheer relaxation, and the depth of its pan allows you to experience untold comfort. Their beautiful curves, general dimension and a spa-like-feeling make these stone freestanding bathtubs the focal point of your bathroom decor. Plus, they are made with hard-wearing composite material and can last for a long length of time. After a long and tiring day, you seek relaxation. You want the pain from your worn out body and stress from your mind to disappear. The good news is that now you can get the relaxation you desire. What’s more intriguing is that most modern-day baths follow the design concept of a spa. The aim was to present users a scope to unwind and let go of all their tension and tediousness over a glass of champagne or red wine. 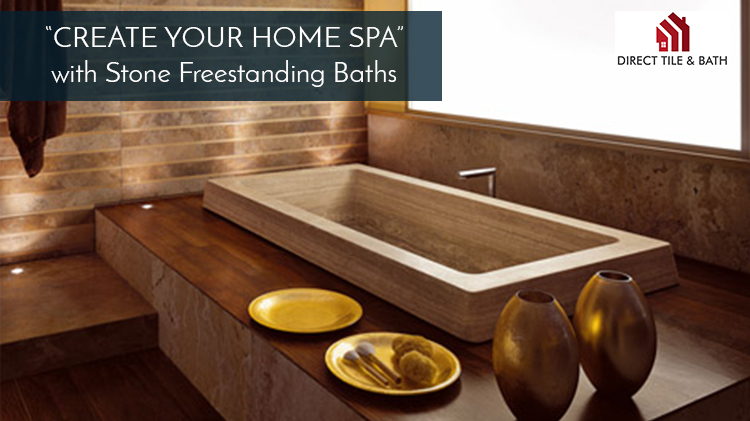 These present-day bathtubs come with many other options to enhance your bathing experience. Some of those include water jets, padded headrests and Jacuzzi systems to give you a spa-like-indulgence. - Stone freestanding bathtubs are around 18-25mm in thickness, meaning they don’t wear out that easily. - These tubs are exceptionally engineered and can endure drastic changes in temperature. - They consist of a non-porous surface, and that means there’s very little possibility of bacteria settling. - They happen to be extremely easy to install, and its minimalistic yet eye-catching appeal allows it to fit into your existing bathroom decor easily. - Interestingly, freestanding baths present an illusion of space. This means installing them; you can make your bathroom space look more spacious and stunning. 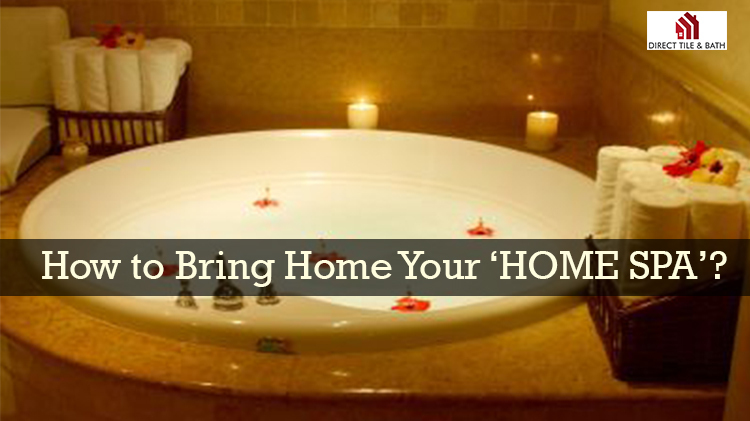 How to Bring Home Your ‘HOME SPA’? A simplified version would be how do you select your right freestanding bathtub? Here are some points that you should follow closely. • Check your bathroom space and determine the right size of your bathtub. Ideally, you should consider your bathtub size by keeping in mind the longest person in your home. There’s no point buying a tub in which you cannot fit your legs in. • See the making materials, its durability and how well have they been crafted. Design is also another aspect that you should straighten out depending on the look of your bathroom. Ideally, white or light shaded baths go best with any bathroom decor. You should check out some designs at stores that offer quality items for your bathroom renovations in Perth. Browse through some appealing designs, read their full description sheet and then pick one which you feel is right. • Lastly, also check out the price and whether the supplier is offering some discounts to first-time buyers. Usually, they do, and if you get one, it could downsize your expenses considerably. If you want some mind-boggling freestanding bathtub options; you can browse through the collection at Direct Tile and Bath. It is a great place to start!